Russians search the remains of a German column on the Wolokolamsk road. Central Sector: Fierce fighting in suburbs of Rzhev, 209 km northwest of Moscow. Southern Sector: In Ukraine, Timoshenko recaptures Trosna, southwest of Orel and Krasnograd, southwest of Kharkov. 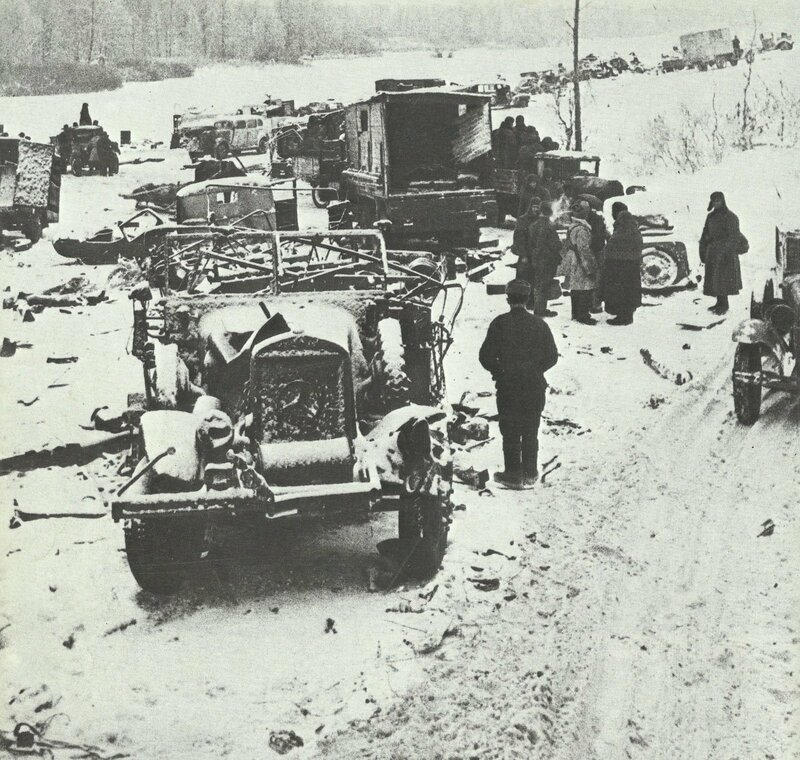 Northern Sector: Heavy fighting on Leningrad front. Malaya: Japanese artillery bombardment of Singapore Island. Pacific: Japanese bomb Palembang, destroying 34 British aircraft. Spain: Anti-British riots in Tangier (Consulate wrecked); martial law declared next day.